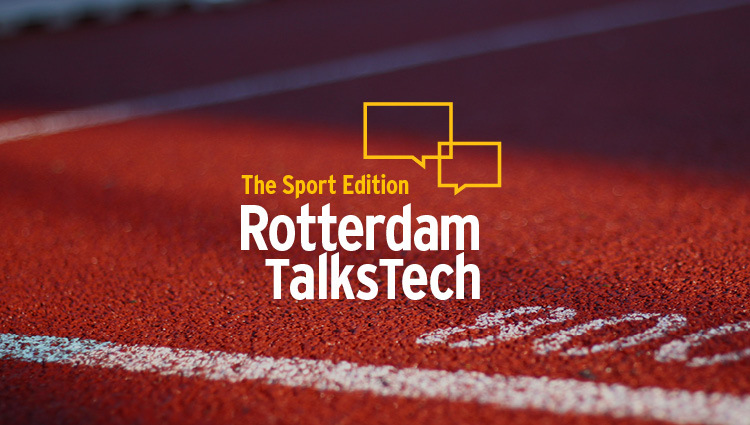 Rotterdam Talks Tech is a talkshow hosted by Sprout’s editor-in-chief Remy Gieling, in the club room of Spaces Hofplein. You’ll be seated among likeminded professionals who all share a common interest in the latest innovations in tech. Each edition Spaces invites innovators and gamechangers from their industry who are leading the pack, or starting a new wave. An evening filled with inspired talks, refreshing thoughts, a Q&A from the audience, cool drinks and a friendly chat after. Serge Brabander is the founder and CEO of OneFit, the ground-breaking fitness concept that combines sports with tech seamlessly. Their unique app is breaking barriers by making fitness approachable and available for anyone. Working out has never been better or easier. The SmartSuit is a ground-breaking piece of technology that measures athletes’ performances and helps improving their results. It’s also the suit the Dutch shorttrack team used to prepare for the Winter Olympics, the only team in the world doing so. Norman Groenewegen is the Associate Creative Director for Cheil Amsterdam – the business responsible for the concept behind the innovational SmartSuit as built by Samsung. Always craved a killer workout that balances along the fine edge between exercising and getting lost inside a musical experience? Meet Rocycle. Co-founder Roxy van der Noort and former Spaces General Manager explains how the interplay between the Rocycle workout and the tech they use makes their programme such a smash success. Being a former Dutch field hockey player, Suzanne Plesman knows what it’s like to win. Having won the gold medal in the European Championships of ’98 and bronze in the ’96 Olympics in Atlanta, she knows when to shine and how to achieve results. She currently works as a consultant for Sports eXperience where she advises startups with brilliant ideas in sports. Having previously worked for the Dutch Ministry of Health as a Sports Innovation officer, it’s safe to say Suzanne is an absolute powerhouse when it comes to sports. Our last speaker is joining us from Feyenoord. He’s one of the most experienced performance analysts in the Dutch Football world at this moment. David is constantly measuring data provided through the team’s movements, performances, physical health and capabilities. Besides working for Feyenoord, he also works for the KNVB, analysing the performances of the Dutch national squad. Don’t want to miss his innovative views on the future of football? Score your tickets now!